As the cheapest Porsche until recently, the Boxster has traditionally attracted a certain type of customer. Not pointing fingers, or adding to any stereotypes, but forgive us if this has somewhat affected our lust for Porsche’s droptop junior model. But, after one short drive, the Boxster GTS has sort of changed all that. Starting from $146,000 the Boxster GTS is $44,500 more than its 2.7-litre base manual sibling which immediately means it’ll frighten off anyone who’s just buying a Boxster for the badge. 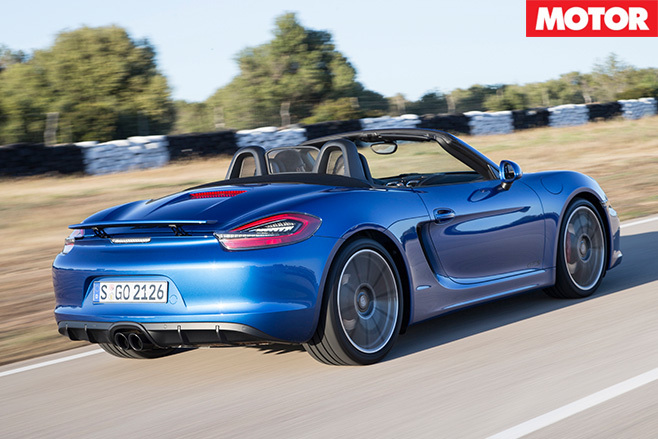 The GTS, instead, is the most enthusiast-focused Boxster we’ve ever driven. A step above the $126,500, 3.4-litre Boxster S, the $19,500 premium buys you another 11kW and 10Nm. Porsche has remapped the ECU to optimise timing of the variable inlet valves, the GTS now wringing 243kW and 370Nm from its 3.4-litre flat-six. There’s a bevy of minor cosmetic changes inside and out, paying attention to a “blacked-out” theme, and you now score 20-inch 911 Carrera S wheels standard. Sport Chrono is also standard, adding torque vectoring, launch control (with PDK) and auto throttle blipping on downchanges in the manual. Porsche now also offers a new, no-cost ‘Sport Chassis’ option, too, which installs non-adaptive, regular dampers and lowers the body 20mm for a tough stance and real, old-school handling experience. 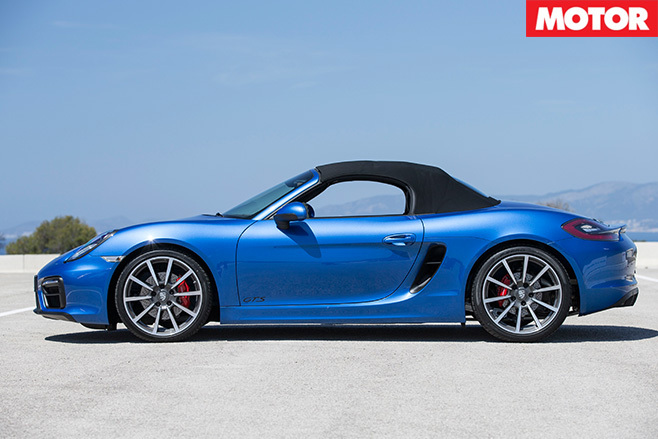 The result is a more masculine Boxster – with the poke to back it up. Zero to 100km/h is now 5.0sec in the manual, down just a tenth, owing perhaps to the fact that, at 1345kg, the manual Boxster GTS weighs 20kg more than the manual S.
Shell out $4990 for the PDK and the GTS’s 0-100 sprint falls again to 4.7sec. To drive? The Boxster GTS is bliss. That little extra oomph means suddenly, the Boxster pulls through its seven PDK, or six manual gears a whole lot harder. 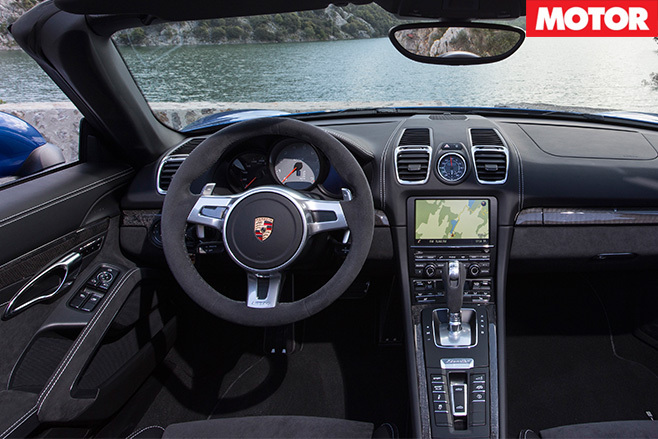 As we found out at the car’s international launch on the Spanish island of Mallorca, the GTS treatment has improved all the Boxster’s other qualities, too. By discernible fractions, the steering is now sharper, the brakes bite harder, the body sits flatter and it even rides nicer. The active exhaust also seems louder – almost to the point of being anti-social. Not that we’re whinging. Neither would you if you heard one at 7800rpm. And, hopefully, it’s a noise most owners will hear often, given the GTS is built to be belted – like all Boxsters, really.